Experience a unique wedding location for your special day that’s thousands of feet above the spectacular Rockies! 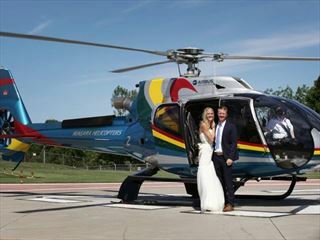 Helicopter weddings are perfect for couples who want to set themselves apart from the more conventional ceremonies and tie the knot somewhere altogether more extraordinary. For intimate and romantic weddings, there’s nowhere more secluded and breath-taking than ceremonies overlooking the mountainous backdrop. 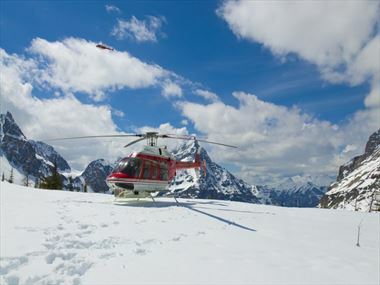 Enjoy a chauffeur service to the heliplex before being airlifted to the top of a mountain for a beautiful personal ceremony. We can take care of the planning services, leaving you to relax and enjoy the day.